MONTREAL -- Transport Minister Marc Garneau said he would board "without hesitation" the type of aircraft that crashed in the Ethiopian Airlines tragedy on Sunday, stressing his confidence in the new plane. Garneau's remarks came minutes after a statement from the Air Canada Pilots Association that called on the minister "to take proactive action to ensure the safety of the Canadian travelling public." The crash, which killed all 157 aboard the Boeing 737 Max 8 -- including 18 Canadians -- has raised concerns over parallels to a Lion Air crash of the same model of aircraft in Indonesia last October, killing 189 people. Amid questions on continued Max 8 flights in Canada, Garneau warned against jumping to conclusions about the cause of the crash, telling reporters it could be one of "dozens of different possibilities." "It was a sunny day, an experienced pilot, the plane was brand new. But we know little else," he said, noting flight recorders have been recovered. "Flying in this country is one of the safest ways to travel. The statistics very, very clearly prove that." Garneau said he has been in touch with U.S. Transportation Department Secretary Elaine Chao and is working with American aviation authorities to uncover the problem "and then take action." Canada's major airlines have been inundated on social media with questions about the safety of their fleet in the wake of Sunday's fatal crash, which occurred after takeoff from Addis Ababa Bole International Airport. Angie Hung, scheduled to take a WestJet flight June 5 from Calgary to Halifax en route to Scotland for a Spice Girls concert, was one of scores of Canadians asking airlines if they planned to ground the Max 8, the plane listed on her flight. "I am planning to tweet, 'I love you Mom and Dad,"' she said in an interview, "in case something bad happens." "If I could afford to cancel and change it, I would," said Hung, 42. Fernando Candido, an Edmonton-based elementary school teacher, said he flies up to 10 times per year. "I'm kind of worried. I'm sure eventually I'll have to use one of those planes," said Candido, 58. "Maybe in Canada they should not fly those planes any more until they figure out those issues." Passenger rights advocate Gabor Lukacs said travellers aiming to change an already-booked flight have limited options. "Passengers unfortunately do not have the right to cancel flights 1/8and receive compensation 3/8 based on subjective fears, even in the European Union, the gold standard for passenger rights," he said, pointing to the potential financial ramifications for companies and inconvenience to passengers. 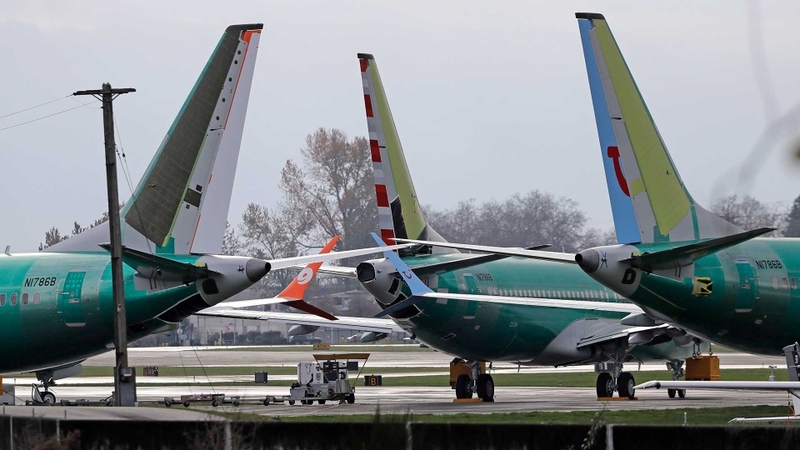 The country's two largest airlines said they are confident in the safety of the Boeing 737 Max 8 and will continue to fly them. "These aircraft have performed excellently from a safety, reliability and customer satisfaction perspective," Air Canada spokeswoman Isabelle Arthur said in an email. "We continue to operate our normal B737 schedule." Air Canada said it has 24 Max 8 aircraft on routes that include Calgary to Vancouver and Montreal to Los Angeles. WestJet Airlines Ltd. tweeted Monday that it is not grounding any of the 13 Max 8s in its fleet of 121 Boeing 737s. "WestJet remains confident in the safety of our Boeing 737 fleet," spokeswoman Morgan Bell said in an email. The airline is "working with Boeing to ensure the continued safe operation of our Max fleet," she said. The Calgary-based company has orders for 37 more 737s from the U.S.-based Boeing on the books. Sunwing Airlines also has four 737 aircraft, according to civil aircraft registrations. The company did not respond to repeated requests for comment. Until more is known about Sunday's disaster, safety experts cautioned against drawing too many comparisons with Lion Air Flight 610, which plunged into the Java Sea on Oct. 29. The main similarities so far appear to be the aircraft model and the timing of the crash shortly after takeoff. In November, Indonesia's National Transportation Safety Committee confirmed the plane's "angle-of-attack" sensors had malfunctioned and provided inaccurate data. The discovery prompted Boeing to issue a safety bulletin instructing crews on how to handle any erroneous data from the sensors on the Max 8. The Boeing jetliner is relatively new, entering into service at Air Canada and WestJet in 2017. Ethiopian Airlines as well as all Chinese and Indonesian airlines have grounded their Boeing 737 Max 8 planes indefinitely in the wake of the crash. The unions for Air Canada and WestJet flight crews declined to comment on the crash of Ethiopian Airlines Flight 302.